In 2005, WE Foundation Limited was incorporated and registered under the Charities Act by mental healthcare professionals who felt the need to have a centre providing aftercare support for people recovering from behavioural and substance addictions after their initial treatments. To further the organisation charity purposes, it became a full member of the National Council of Social Service and by December 2006, it was approved as an IPC charity able to issue tax deductible receipts for qualifying donations. 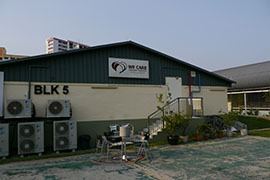 From 2008, the centre operated out of two container offices on land leased from IMH at 620 Tiong Bahru, Singapore 158789. The centre offers individual counselling, group therapy, family and support group meetings. It is to be a safe venue for drop-in facilitating fellowships for recovering persons and their family members with opportunities to renew and transform family relationships in a holistic, caring and nurturing environment. By this time, the Board decided to change the organisation name to the present WE CARE Community Services Limited to better reflect its missions. The new name became official from 17 March 2008. 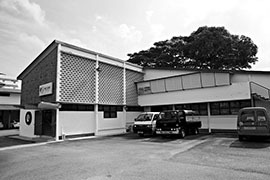 In 2011, WE CARE moved to 11 Kampong Bugis #02-08, Singapore 338988 as the land in Tiong Bahru was returned to the Singapore Land Authority. Once again the lease was up in 2014 and we had to look for new premises. We were successful in getting a block unit at Kembangan-Chai Chee Community Hub, 11 Jalan Ubi, Block 5 #01-41 Singapore 409074. With support from Tote Board Capital Funding, we were able to renovate and move into our new premise in June 2014.